Halloween can be a HUGE deal when you’re a child, heck it can be a big deal well into your adulthood. Halloween tends to turn into different festivities when you’re older, but as a kid, trick-or-treating is what they look forward to on all Hallow’s Eve. I remember being so pumped about trick-or-treating and going door-to-door with my friends collecting as much candy as we possibly could. 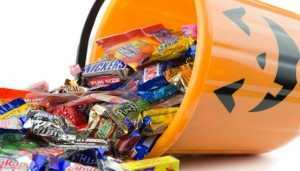 But now that we’re in a growing epidemic of Type 2 diabetes in children, and the majority of children eat about 7X the amount of daily recommended sugar, should we really be encouraging trick or treating? 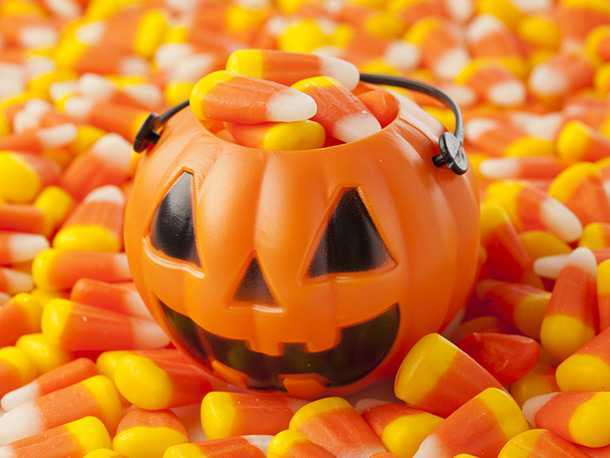 If trick or treating is a big tradition in your family and giving it up seems unreasonable, here are five easy ways to limit the amount of candy your child will consume from Halloween. Trade candy for cash – There is a Halloween Candy Buyback program that your local dentist may be participating in, check for more information here. Take some to your office – A bowl of candy is a nice addition to the receptionist desk or in the break room. Freeze some candy – Save the candy for a rainy day. This goes along with the out of sight out of mind mentality too. Have your child bring a small halloween bag – My friends and I used to carry pillowcases so we could collect candy to the point that it was almost too heavy for us to carry. We probably would’ve called it quits a lot earlier if we ran out of room for candy in our bags. Tell them to pick out their favorites and toss the rest – Strike a deal. Give them their favorites and throw out the rest. Limit trick or treating by time or walking distance – Don’t be that parent that drives your kids to all the “hot spot” trick or treating areas. If they can’t walk there, don’t go there!